Today I am so excited to spotlight a booming local business that was founded by a friend of mine! Lauren has modernized seer-sucker in a way that makes southern girls swoon, seriously. The seer-sucker dresses, that are in her Spring 2014 Collection are TO-DIE-FOR. I love the detail on the backs. She also has added seer-sucker to shorts... I mean, adorable. 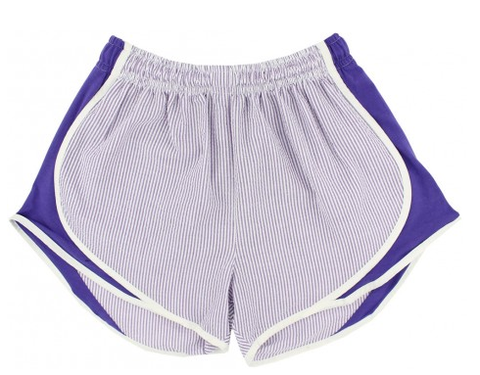 These shorties are so cute and even monogram-able! Lauren James Company also has a whole line of T-Shirts and Tanks. I want one of these! If you're not convinced yet that Lauren James Co. has adorable clothes that you must have for this spring and summer you can head over to Lauren James Co. online and checkout their newly launched website. And since Lauren is awesome, she is offering my readers a chance to win a $75 gift card to Lauren James Co. This Spring Break giveaway is open from 3/24/14-3/30/14, you can see all of the details on Raffle-copter below. I was just looking at the adorable seersucker dresses to wear for bridal tea's and shower's coming up this summer! I know!!! Aren't these dressed great?!?! I love the Stratton dress, so adorable! Those dresses would be adorable for Easter! I need one of those dresses--bring on summer! Dying over those seersucker shorts! I love those dresses! So cute and feminine! I need one of the seersucker dresses! I have a teen daughter and she would love to wear one! Love the dresses!!! And the tees and the shorts...I love it all! I super want that last shirt! We need to make a trip to riff raff soon! 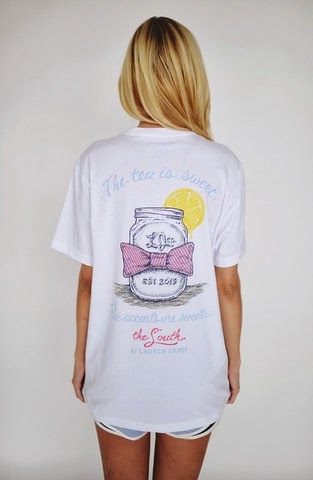 Love the Southern tea tshirt! Love those dresses! So cute! what an awesome giveaway! I love the dresses! I love the tees and tanks! 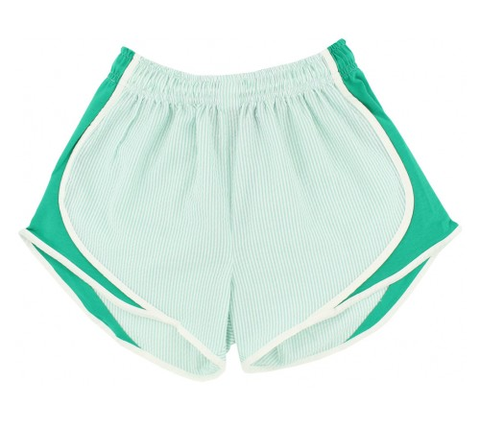 The seersucker running shorts. So comfy and cute to wear to class! I heard about Lauren James Co. a few weeks ago & have been obsessed ever since! Such a great giveaway! Happy Monday! I adore the Livingston dress! I love the seersucker running shorts! I am OBSESSED with all things Lauren James! Amazing to see her business flourish! The sail away shirt in blue!! The seersucker dresses are timeless. I was in between sizes on the chart and I ordered this size, but I am exchanging it for a size smaller. I would still say the dress is true to size- it was my error to order the next size up. Oh, my...DARLING dresses! And goodness knows, my wardrobe needs some sprucing up...love, love, love!!! The Livingston and the seersucker shorts are a must have for me. The beautiful dresses...I would give one of those to my daughter!! I would choose a short sleeve ASAP shirt, but they are all cute. Cute stuff! Would love to win! I love the uniqueness of the seersucker! I would have a hard time choosing if I were to win! Oh….. There are too many cute choices. I think I would go with the dresses. They are super cute and I LOVE the details in the back. Totally love the seersucker shorts! 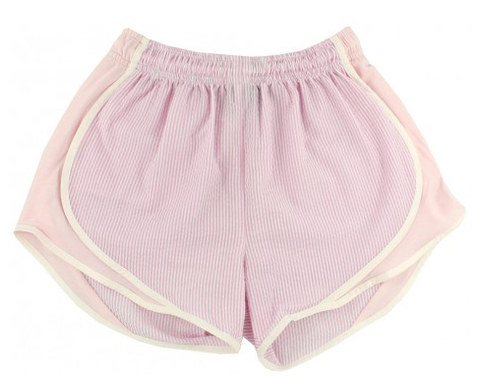 Super cute shorts! Love the 'Merica tank as well! These are sooo cute! Haven't seen any of these t-shirts before. A must have! Love the Girls best Friend shirt perfect for summer! I LOVE LOVE LOVE The Hamptons dress - that back is ADORABLE!!!! A must have for me has to be the, KMC Navy tank!!!! I love that whiskey tank! My must is The South tee! LOVE the dresses and shorts! The COME SAIL AWAY shirt would be great for my cruise.